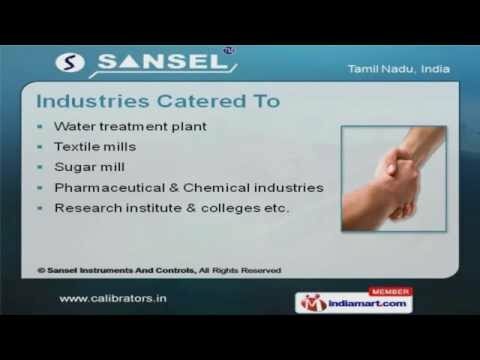 Welcome to Sansel Instruments and Controls Manufacturer & Exporter of Process Control, Analytical Instruments & Calibrators We are an ISO 9001:2000 certified company, established in 2000. Various Clients across the globe & Effective R&D programs make us different from others. Timely delivery, Competitive prices & Client centric approach make us the first choice of our clients. We cater to industries like Textile mills, Research institute & colleges. Calibrators, Calibration Laboratories & Lab Instruments are some of the Services offered by us. Thermal & Electro-Technical Labs are available under Calibration Laboratories. We Offer a complete range of Calibration such as Low Temperature Bath (TCAL 040) & Liquid Calibration Bath (TCAL 1250). Our high quality Analytical & Lab Instruments are appreciated amongst our clients for superior quality. We have been able to provide Process Control Indicators.